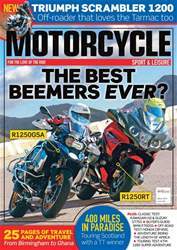 The magazine prides itself on featuring a huge range of motorcycling pursuits, reflecting all aspects of biking and the people that are involved. 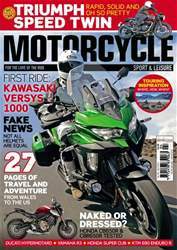 Combining thorough long-distance tests, terrific touring tales, the latest news and in-depth features about cutting edge developments in both motorcycles and riding kit, MSL has become the only genuinely viable alternative to the knee-down magazine brigade. App includes FREE issue: August 2011. Looking for Motorcycle Sport & Leisure in print? Unfortunately pocketmags.com does not sell print copies of Motorcycle Sport & Leisure, but all is not lost. Our partner at magazine.co.uk sells print subscriptions at the best prices online. How do you feel about electric rider aids on motorcycles?They seem to divide the riding public pretty neatly into those who see the benefits and those who don’t. I’m firmly in the pro-electronics camp. Although I enjoy riding on green lanes on my Suzuki DR350, which has no electronics to speak of, I prefer a bike with all possible anti-idiot systems when I’m on Tarmac. Those who don’t want any electronic interference between their control commands and the bike’s reactions often fear that systems such as ABS and traction control are ‘dumbing down’ riders, and if you are sufficiently proficient at riding you simply don’t need them. Some even say things like ‘my right wrist is my traction control’, but most of us grew out of that kind of talk in our teens. I’m not sure if anyone is so good at riding that they can completely remove any nasty surprises from around them. But let’s say, for argument’s sake, that it is possible to reach that Zen-like state of absolute control of your motorcycle and your surroundings – what percentage of riders would qualify for the two-wheeled grandmaster status? And what about beginners, Sunday riders, those who haven’t completed advanced riding courses and, well, most of us? We all need to cope with slippery surfaces, deer running out in front of us, miscalculated speeds of ourselves and others and so on. In any of those situations I’d rather have the assistance of ABS, traction control, and any kind of added control available, thank you very much. 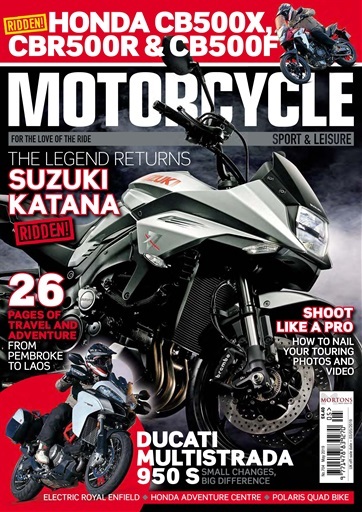 You'll receive 12 issues during a 1 year Motorcycle Sport & Leisure magazine subscription. Great magazine guys, I've been a subscriber for years, now I can carry all the latest issues around with me in my pocket and the wife doesn't have a go at me for leaving copies all over the bathroom. keep up the good work. You'll receive 12 issues during a 1 year Motorcycle Sport & Leisure magazine print subscription.